Given a microphone and a stage, you just might be able to change the world -- or your city, your community, or maybe just another person's mind. That's the idea behind Ignite Denver, the triannual community event that provides a public platform for sharing visionary ideas, heartfelt passions and unique musings. Kind of like a Ted Talk meets community meeting, Ignite Denver provides a public stage where the average person can present their idea to a live audience -- if their idea is deemed intriguing enough. Potential presenters submit their proposed topic, or "spark," in advance, and online voting determines the final line-up. 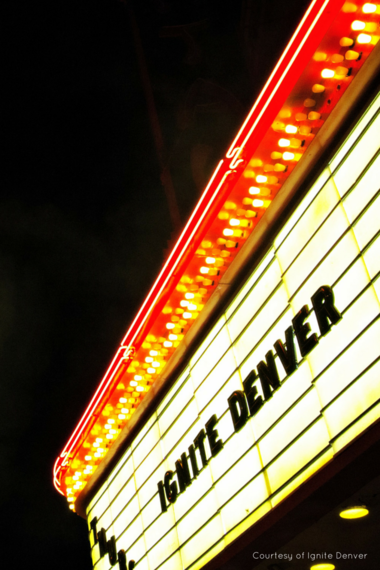 Ignite Denver topics can range in diversity from the weighty, such as homelessness, financial issues and parenting strife, to the more lighthearted, analyzing your dreams or giving up your car. "People may draw on their personal stories, education, observations and passions to speak about," says Ignite Denver's Stephanie Vail. "The beauty is that there isn't a set tone and we welcome anyone and everyone." The dozen or so selected presenters stick to strict parameters: each has 5 minutes to speak with an accompanying 20 slides that auto-advance every 15 seconds, which keeps the event, and the energy, moving along at an upbeat pace. Vail says attendees can "expect to be encouraged, motivated, frustrated, enlightened -- anything but bored." Because sometimes all the average person needs to make an extraordinary contribution to the world is the opportunity to do so. 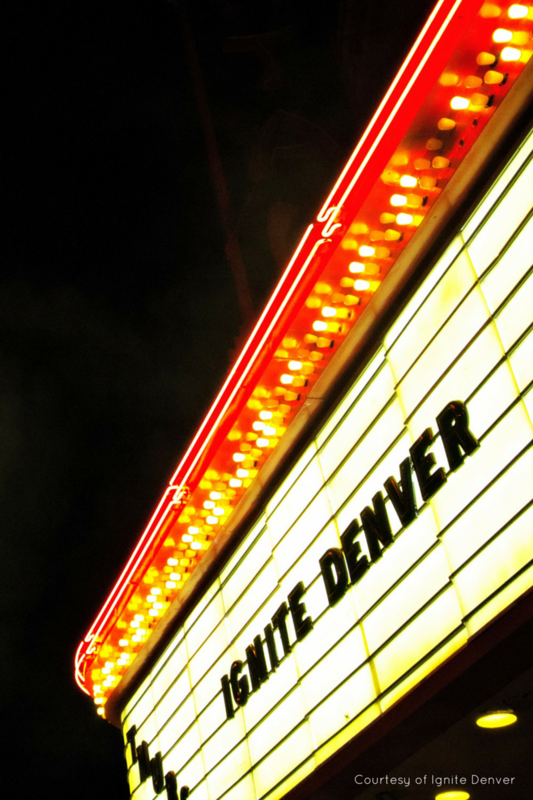 Ignite Denver 23 will be held on Thursday, June 30, at The Oriental Theater (4335 W. 44th Avenue, Denver). Doors open at 6pm; show begins at 7pm. Tickets can be purchased online or at the door. All are welcome, though parental discretion is advised due to the potential for heavier topics or language -- F-bombs have been known to drop. A social and networking period will follow the talks with the Biker Jim's food truck on hand for those who are hungry. Heather Garbo is a Denver-based mama of two with a love for all things local. Her blog, www.denverdweller.com, provides inspiration for better local living including a Live & Shop Local Resource Directory, as well as ideas for stronger neighborhood ties, such as 31 Ways to Build Community in Your Neighborhood.